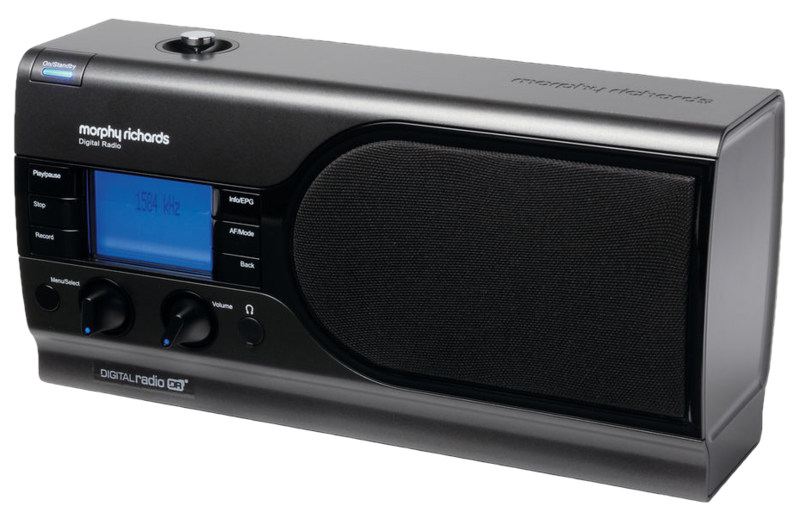 Consumer DRM30 receivers - the ultimate list. As far as I know no-one has ever created a comprehensive list of all known consumer DRM30 receivers that have been rumoured, announced, demonstrated or released. I've been keeping my own list for a few years now, so I figured I'd make it available it for wider reference. Quick note: At the moment (mid August 2017) I'm in the middle of a major review/validation/correction/update/re-organisation of this page. The basic info on this page is largely correct but the review will correct quite a few minor discrepancies/duplications, etc. - and, at the same time, I'm adding better supporting links (including alternate sources), updating to the most recent info, etc. Hopefully I'll have that done in the next couple of weeks. 55 models (give or take; see below) announced since 2002. ~13 (not including prototype or demonstration models used for larger-scale trials) have made it to production. 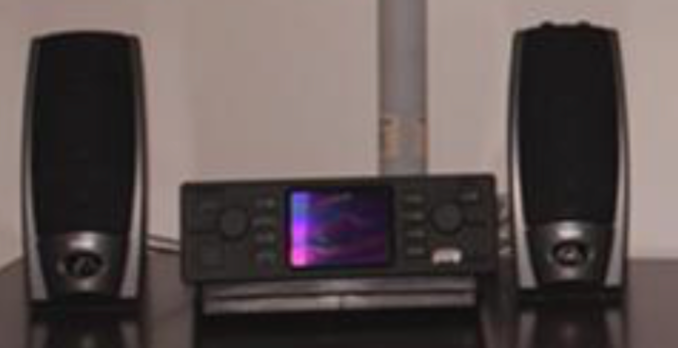 3~4 currently in production - Mahindra & Mahindra, Hyundai, and Suzuki factory-fitted car radios in India, and seemingly the Avion AV-DR-1401 portable (see model notes). The PantronX Titus II & Gospell GR-216 announced in late 2016 are still forthcoming. 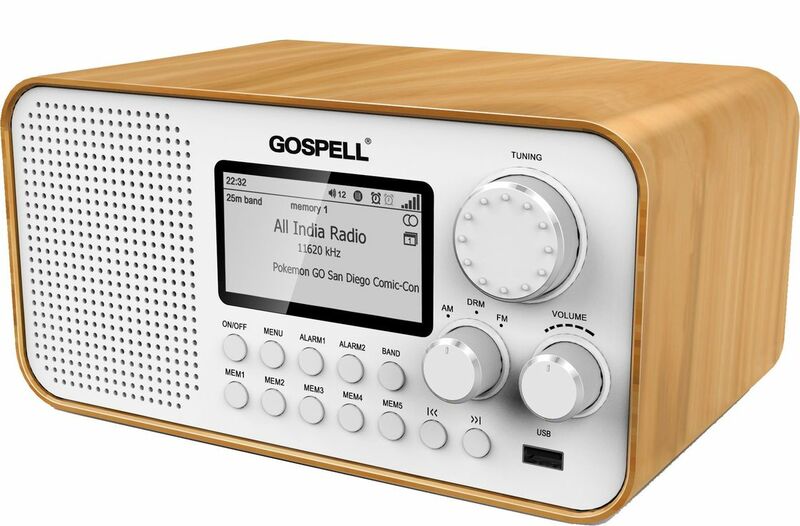 In late April 2017 Gospell said they were part sourcing for production (and indicated they were also working on a "pro" model with multimedia capability); in late May 2017 (at the NASB conference) PantronX indicated they were ~1 month away from production models being available. Possible duplicates are listed individually (e.g. see the Roberts / Sangean portables). A release date, no matter how vague (e.g. "2006?") = known to have been sold, usually from multiple independent reports. In production = currently available to buy, with evidence that at least some people have managed to purchase them independently. Unknown = no reliable information has been found. Never released = no independent evidence of retail or commercial sales found (demo & trial units may have been made available to select groups). Comments/notes on each entry are added over time, and earlier entries not always updated. In some cases this may appear a little confusing/contradictory, but the purpose is to be a record of development. The list also includes some that strictly speaking aren't 'consumer' models but may have been of interest to hobbyists/enthusiasts e.g. the Radio Mondo 'Newsbox'. That said, I think the list is substantially accurate and at least reflects the historic and current state of the market. I'm happy to add anything new/relevant that can be independently verified, so please feel free to post any additions / updates / corrections as a comment. Last known status: In production? Comments: Rumours mid-late 2013; announced by DRM.org in 04/2014. Prototype first shown at IBC 2014. Unknown chipset - was said to be working with CDNSE, so possibly Mirics MSi001/002. Release originally said to be 07/14; latest statement is 07/15 (more likely at least 09/15). According to Charlotte Cabrero (BBC) on DRMNA 07/15, release delayed to include improvements e.g. xHE-AAC. Listed on Amazon India on 7/8/15 (1 unit for sale by manufacturer) @ INR15000 (~AU$320); not available a few days later. Official release date 30/10/15, available exclusively on Amazon.in. Early reviews not good - poor sensitivity & large signal response, poor audio, difficult tuning, clunky UI, and frequently locks up after ~1hr use. Avion stated in late 2015 that some early production units shipped with 'test firmware' & an updated firmware would be posted late 2015 (released 04/16). Note: It was speculated that an initial initial batch was produced to meet the AIR contract & test the market, and this had been sold by late 2016. Although still listed on the Avion website as of Jan~Feb 2017, all indications were it had been discontinued. However, in 05/17 it was again showing as available on Amazon India. Bosch/Blaupunkt - modified CD72 "Bremen"
Comments: Demo'd @ IFA 2005. Modified version of Blaupunkt CD72 “Bremen” AM/FM/LW/SW/CD receiver. Bosch/Blaupunkt - modified MP74 "Los Angeles"
Comments: Demo'd @ IFA 2007. Uses "Advanced Digital Receiver (ADR)" chipset. 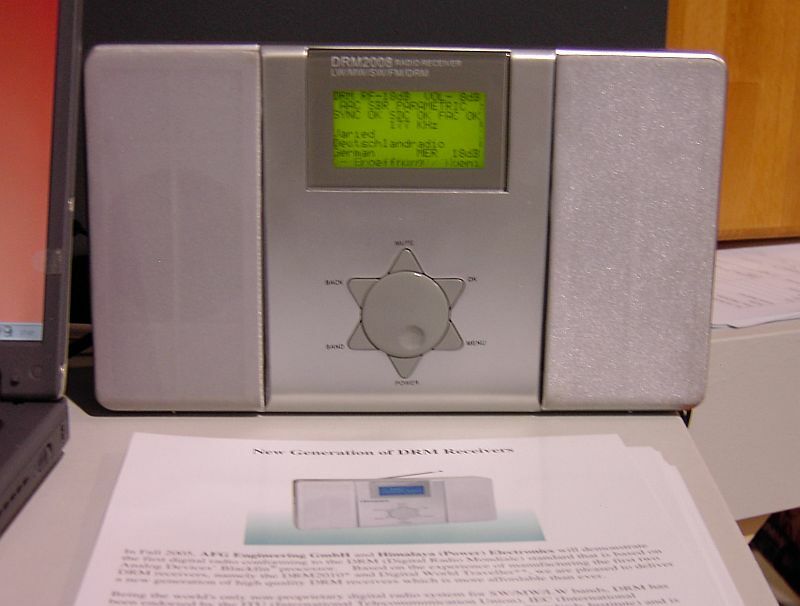 Report in Monitoring Monthly, Nov 2007 - "A car radio from Blaupunkt, suitable for DRM reception, worked for a few seconds at a time before failing". 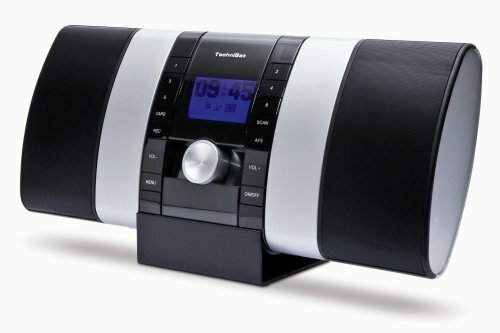 Style: Small Hi-fi / semi-portable? Comments: Demo'd @ IFA 2007. Developed by BPL Mobile Communications Limited, India. Comments: Radioworld, 09/09/2002 - "The Digital Radio Mondiale Consortium will unveil a production-ready world-band consumer receiver, made by Coding Technologies together with the BBC and German device manufacturer AFG … The unit is a downscaled version of an existing, professional Fraunhofer receiver". A VT Merlin white paper (BCA4078) indicates this "production-ready" receiver was reworked and updated to become the Mayah DRM2010 (aka Himalaya 2010). Comments: Demo'd @ IFA 2005. Comments: Announced at Auto Expo India 2012 (January, New Delhi). NXP processor, capable of DAB/DAB+, DRM/DRM+, & HD radio (though it seems this receiver only supported AM, FM, & DRM. "It should be available for the market by Q4 2012." Comments: aka "Diabolo". 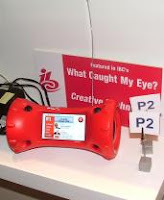 Shown at IBC 2009. 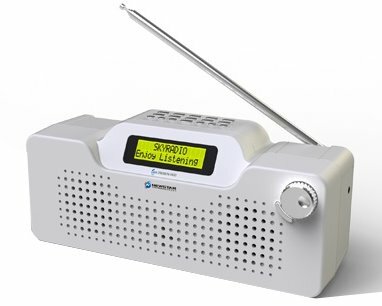 "The radio is immediately intended for trials in France, as that country moves to reinvigorate digital radio with a series of new broadcasts, but its significance as a 'proof of concept' receiver is even more important" (source). Seems to have disappeared without a trace - little is known, and it's even uncertain whether 'Diavolo' is the product name (most likely) or manufacturer. Last known status: Prototype / "Technology Demonstrator"
Chipset: Unknown, but presumably Frontier Silicon! Comments: Demo'd @ IBC 2011. 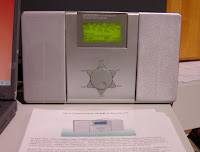 A technology demonstrator only (Frontier Silicon had recently joined the DRM Consortium), but was reported in some sources as 'a new radio from Frontier Silicon'. A different image can be seen in this HFCC B11 presentation. Chipset: Unknown, but possibly Mirics? Comments: Announced on 05/09/16, a few days after HFCC B16. xHE-AAC codec support. Emergency warning & alternative frequency switching capability. See Gospell page here for full specs. 01/17 - "The GR-216 development is in progress, the hardware part is almost finished and now we are focusing on software. We are expecting a small quantity trail production by March". 04/17 - Gospell reported they were sourcing parts for production, Journaline would not be available initially (but possibly in a future update), and that they were working on a 'pro' model with multimedia capability. 07/17 - Terje (hobbyradio.se) has posted a short review of a pre-production unit here. Note: Gospell acquired CDNSE (Newstar) in 02/16, so this likely replaces the Newstar DR-111 & unreleased DR-212. Comments: Demo'd @ IBC 2011. 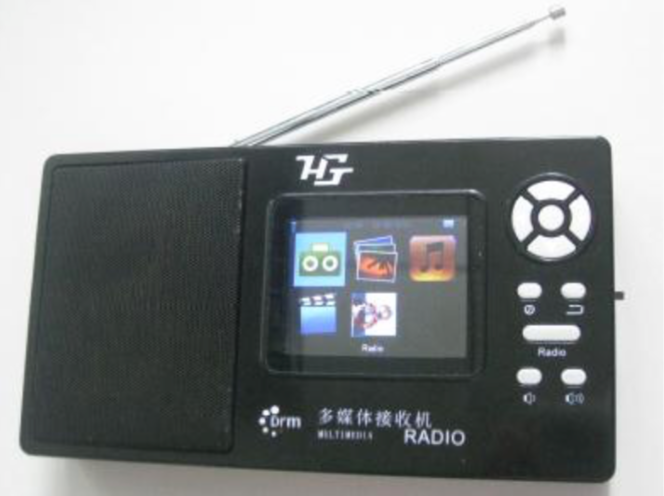 HG is/was an unknown Chinese brand; the set was exhibited by Transradio (previously Telefunken SenderSysteme Berlin). 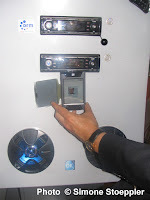 It can also be seen in the background of several DRM Consortium pics / videos from IBC 2011. No further details. Comments: Demo'd @ IFA 2005, IFA 2006, IFA 2008, HFCC B11 (where it was called the "Himalaya 2008/2013"), etc. Several cosmetic differences exist between the 2005 prototype shown here and later prototypes / renderings (e.g. see the image in this DW roundup of receivers at IFA 2006, and this roundup from HFCC B11). Note: a summary of Himalaya 2008 & 2009 features can be downloaded here. Comments: Announced at IFA 2008. No further information. Comments: Included in a presentation at HFCC B11. No further information. Chipset: NXP - see comments. Comments: Previously listed here as "NXP - unknown" when it was first announced in Jan 2017. NXP press release suggests 'HERO' (TEF663x) & 'SATURN' (SAF360x) chipsets, but the 'HERO' tuner in particular is no longer listed & appears to have been superseded in 2015 by the TEF665x/668x & TEF701x. No model info was given at release, but it has since appeared - like the M&M TUV300, largely unannounced - in the Indian-market Hyundai Grand i10 & Tucson. It is possible that the same radio will also appear with little fanfare in other Hyundai India models. 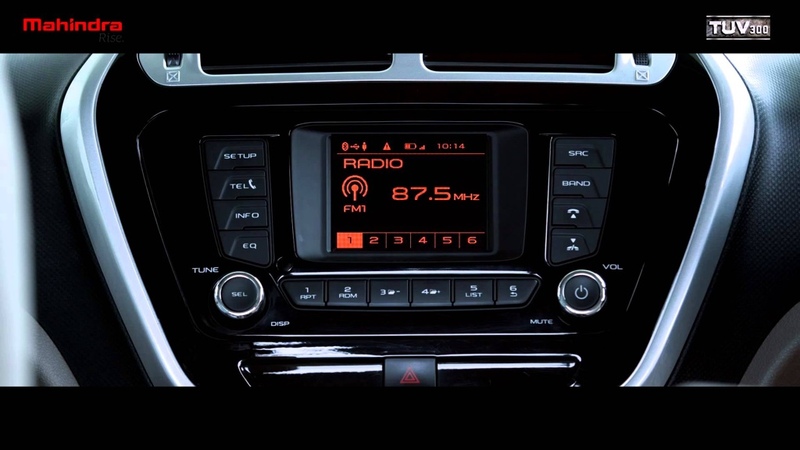 Note: See the Suzuki India entry for what is possibly the same radio in a different vehicle. Comments: Little detail available. Kenwood 2004 prototype, Kenwood KDC-W7563U DRM, and ST/Kenwood/Fraunhofer car radio are possibly all the same radio demonstrated at different shows. 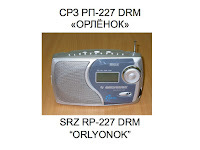 Modes/Bands: AM (MW), DRM30 (MW), FM. Comments: Initial announcement. Fitted to the TUV300, will possibly make its way into other models. Not specifically mentioned in current (early 2016) M&M TUV300 specs, brochures, or press packs, but several forum posts (e.g.) indicate it is available in current production vehicles. 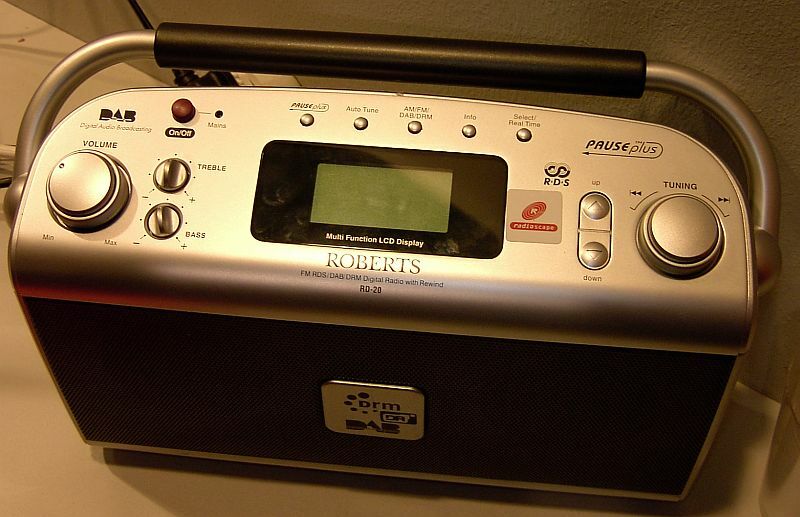 02/16: this NXP & this DRM.org release probably refer to this radio? But it all seems very coy, given DRM.org's history of excessively optimistic and over-enthusiastic statements. Last known status: No longer produced. Comments: AKA Himalaya 2010.; see also the comment on the unnamed Coding Technologies/BBC/AFG radio. “Portable” styling, but mains-powered (no batteries). ~€810 at launch (11/03, actual release 5/04), later 2004 RRP €695, ‘special offer’ of €495 @ IFA 2005. Comments: On display at IFA 2005. No further information. Comments: Available sometime prior to Dec 2006. Appears to have been available in Germany since at least early 2006 (& a Sat-Schneider mod kit to add batteries, improve antenna, and reduce power consumption was released in Jan 2006). Removed from Morphy-Richards website in Feb/Mar 2008. Stocks gone & no longer available by July 2009. Note: NIB/NOS examples still occasionally appear for sale in some places (e.g. the drmrx forum). Age & known issues notwithstanding, it's still considered one of the best DRM receivers ever released. Comments: Unveiled at IBC 2011 (i.e. September), alongside a DRM+ receiver & USB DRM30 dongle. In Feb 2012, "MSway has halted all DRM development and will no longer be pursuing the market." Comments: Unveiled at IBC 2007. 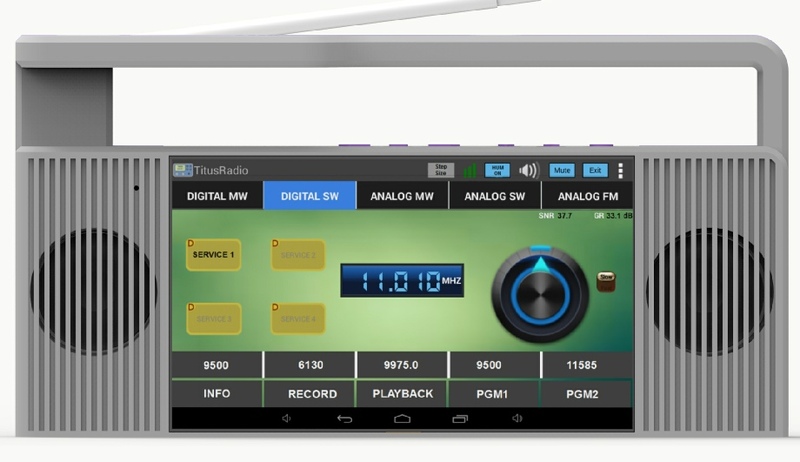 WR608 is the designation of a platform/module (similar to the Radioscape RS500) for OEM use developed by Chengdu Newstar Electronics (CDNSE) in conjunction wth Thompson Broadcast. The technology demonstrator / prototype shown here was reported by many sources as the Newstar WR608, so it is included here. Comments: Reported as a cheaper/improved variant of the original DR111, "a cost-down model of DR111 which removes long wave band reception and Journaline function". The little info available points to a 2013 release. Early images show visible differences to original DR111 prototypes — speaker grill black (not white), tune/vol select button moved from below-left of knob to upper-right. It seems likely that this "A" model was either short-lived, or the two models were combined - before CDNSE was acquired by Gospell the website only mentioned the DR111, although confusingly the brochure showed a picture of what appears to be a DR111A while listing LW as a feature & Journaline as an option. 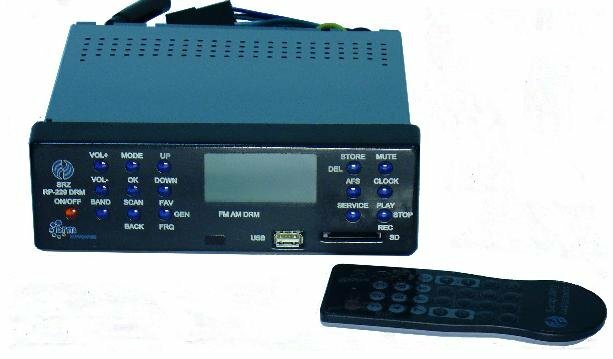 In February 2016, CDNSE announced they had been acquired by Gospell Digital Technology Co. Ltd, "a complete DTV and triple-play solution provider for Digital TV/OTT related projects", and it seems the DR111/A are no longer produced. Comments: Orders for first batch were being taken by PFS (need to reach MOQ 3k-5k) in 2014. 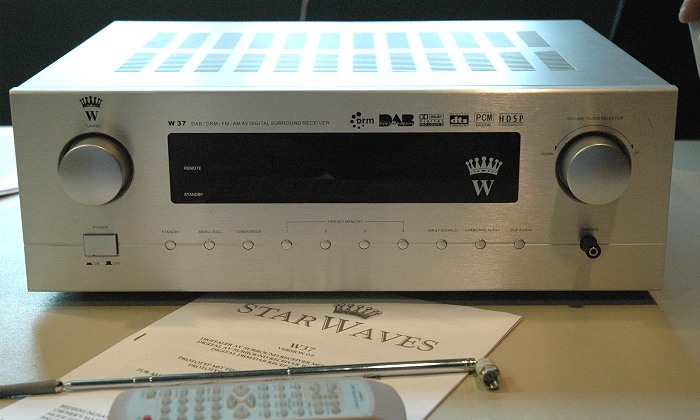 According to RD on DRMNA list at the time, “DR212 will only get produced if NewStar wins the AIR 800 receivers tender”. See extra comment on DR111A. Comments: Little detail available. Included in a presentation at HFCC B11. No further information. Comments: Little detail available. 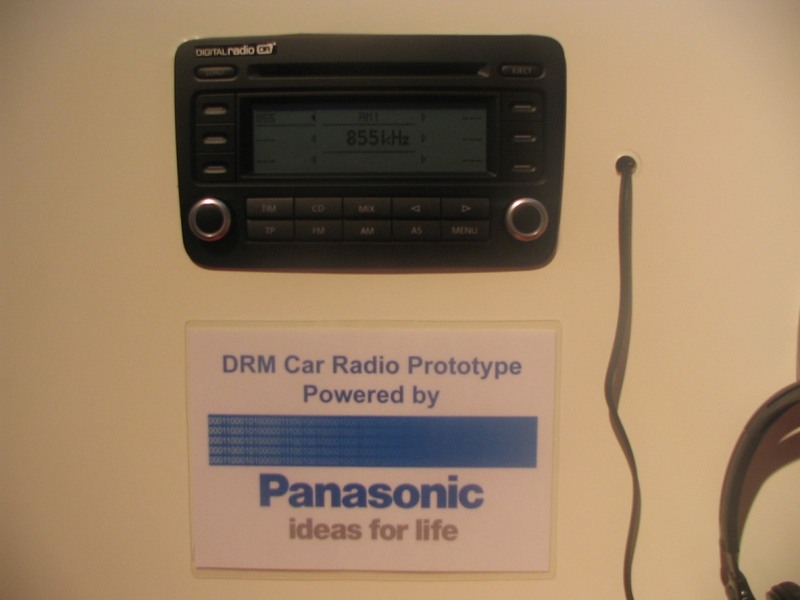 Included in a presentation at HFCC B11 as "a new DRM car receiver ... prototype of DRM car receiver based on NXP Semiconductors chipset". No further information. Comments: Demo'd @ IFA 2005. OEM, not retail. Modes/Bands: AM, DRM30, FM (with others possible via additional software). Coverage from 0.1MHz-2GHz. Modes/Bands: Unknown; likely DRM30 (MW & ?SW?) only. Comments: Demo'd @ IBC 2003. Semi-pro receiver or technology demonstrator? This same prototype seems to have been demonstrated later (e.g. IFA 2005) as the Fraunhofer / Coding Technologies NewsBox. Comments: Demo’d @ IFA 2005. AKA Sangean RD-2. Designated RD-2, but looks like a modified RD-1 (the non-DRM RD-2 is totally different). Note the similarity to the (earlier?) 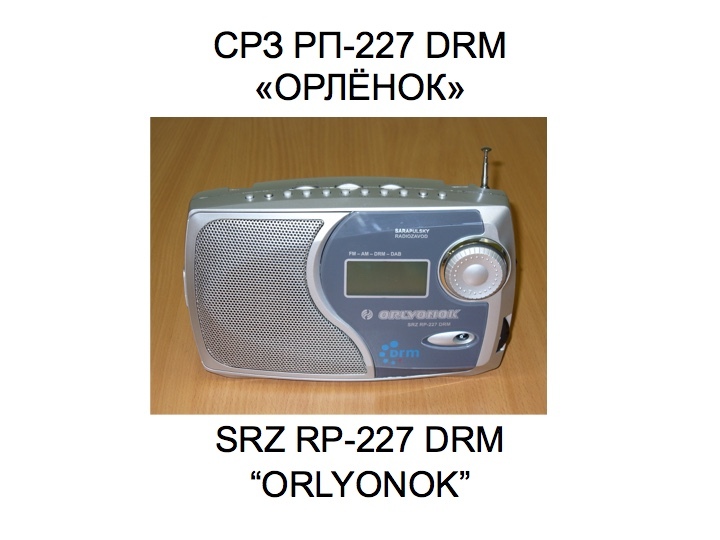 Sangean DRM-40 / Roberts RD-40. According to einfach-radio.de it was supposed to be ready for Christmas 2005 (price €250~€300), but there is no evidence it was ever released. Comments: Demo’d @ IFA 2005. 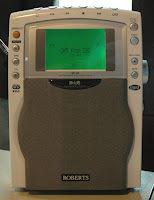 Modified version of standard Sangean/Roberts MP20. See also extra comment on Sangean DRM-40. Comments: Modified version of standard Sangean/Roberts MP-30, said to have been used in UK DRM trials during 2006/7. See also extra comment on Sangean DRM-40. Comments: Also known the Roberts MP-40. Prototypes shown @ IFA 2005, and again at IFA 2006 - visually, nearly identical to both the retail Sangean/Roberts MP-30. Later protoypes had external rod antenna on top. Thiecom UK taking advance orders in June 2007 for October availability. Withdrawn by time of IFA 2007 (late August). May have had very limited release - Google “Roberts MP40 UI FRS” for english manual on Chinese sites. Extra comment: There is some confusion about the Roberts/Sangean models above - they may represent 2 or 3 different models at different development stage e.g. the RD-2 prototype, non-DRM MP-30, and DRM-40/MP-40 prototype look almost identical. Comments: At least 3 vastly different looking prototypes shown at various events - later versions look quite like the RP-227, so this model may have evolved into that? 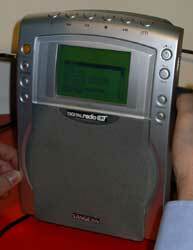 At least one prototype was AM/FM/DRM/DAB. Some comments & apparent USB connectivity suggest Radioscape RS500 module. Last known status: See comments. 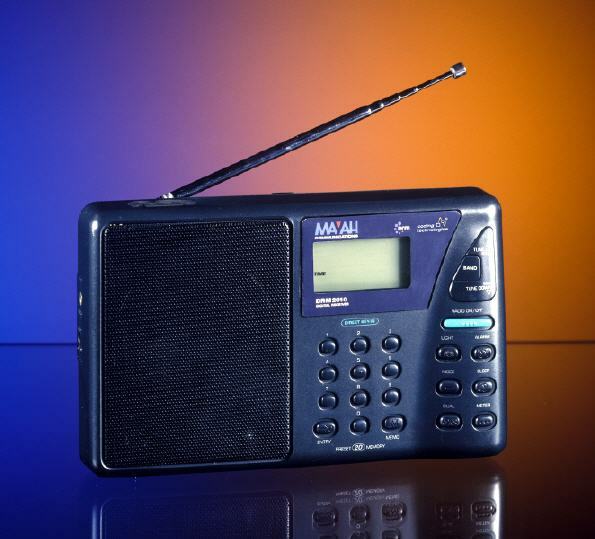 Modes/Bands: AM & DRM-30 (LW, MW, & SW), FM, DAB (Band III & L-band). Comments: Shown at IBC 2007, DRM symposium Moscow late 2007, BES 2009. DRM/DAB/SW/MW/LW/FM. 09/09/2010 “the launch of Sarapulsky Radiozavod SRZ RP-227 is expected for the first half of 2011 in both the automotive and fixed receiver versions” (but see comment on RP-229 dated ~1 week later). Although listed on Disco Palace website it was very likely never produced, as there are no reports of availability. Russian Gov’t cancelled DRM rollout & pulled all funding/development in 2012. 06/17: LW 150-288kHz, MW 522-1710kHz, SW 2.3-27MHz, FM 87.5-108MHz, DAB 174-240MHz & "1495-1492" (presumably meant to be 1452–1492) MHz. Comments: Shown at IFA 2008. Quite similar to RP-229 prototypes - an earlier prototype? Comments: Demo'd at IFA 2009 Berlin, & again at IFA 2010 Amsterdam. Original reports said used a Radioscape module; later said to be using ADI Blackfin DSP. PFS, 18/09/2010: “I regret to inform you that the delivery of the SRZ-car radios will be further delayed. I can also call it a date when that will be the case. There are still issues that need to be solved. As this is a development from India, the unit is to be built in Russia but, unfortunately, no forecast is possible at the moment”. 06/17: LW 150-288kHz, MW 522-1710kHz, SW 2.3-27MHz, FM 87.5-108MHz. DRM text messages. Recording/playback of AAC/WAV/MP3 using MMC, SD, or USB flash. 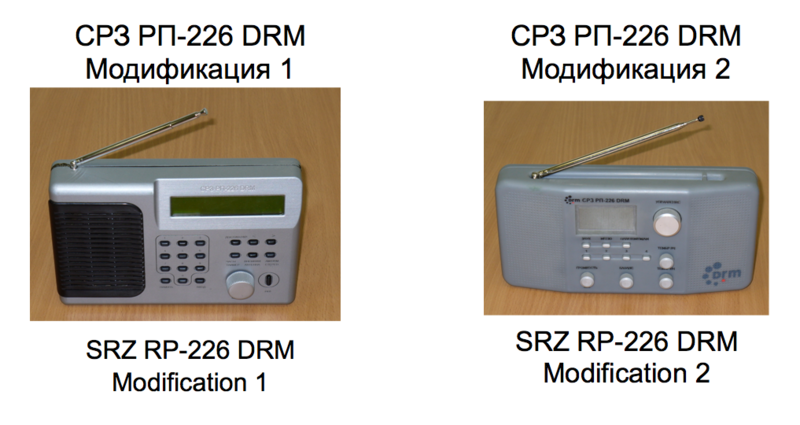 Sarapulsky Radiozavod (SRZ) - "DRM Receiver"
Comments: No information on this radio apart from its appearance on the SRZ website. 06/17: LW 150-288kHz, MW 522-1710kHz, SW 2.3-27MHz, FM 87.5-108MHz. DRM & RDS text (website also mentions DAB text? ), recording/playback of AAC/WAV/MP3 using MMC, SD, or USB flash. Comments: The 2006 report "Schlussbericht für das Verbundvorhaben RADIO MONDO Dienste im digitalen Rundfunk in den AM Bändern" (English: "Final Report for the Collaborative Project RADIO MONDO Services in Digital Broadcasting in the AM Bands" & available here) stated that "on the receiver side, the development of a DSP-based DRM receiver has been promoted by Sony. Existing digital Sony receivers will be soon extended to the DRM functionality" (p. 15). 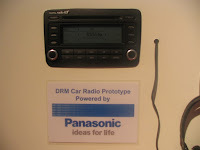 Apparently also announced a DRM receiver at a Japanese show. No further info. Comments: Demo'd @ IFA 2006. Little detail available. 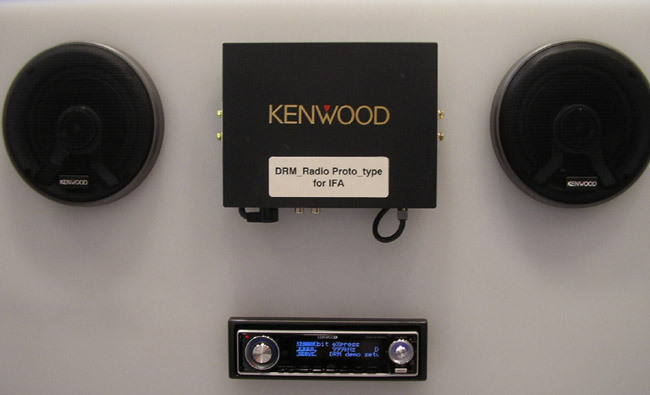 Kenwood 2004 prototype & KDC-W7563U DRM, and ST/Kenwood/Fraunhofer car radio are possibly all the same radio. Comments: Demo'd @ IFA 2003. Reportedly 50 'prototypes' were available for sale in Sept 2004 for €2003. Comments: Demo'd @ CeBIT 2005. Sometimes reported the W37D, or said to be the same as the Starwave Prelude above. Spec sheet in German and English. Comments: Demo'd in March 2007, apparently available by Sept 2007. Likely to have ceased production in 2008. 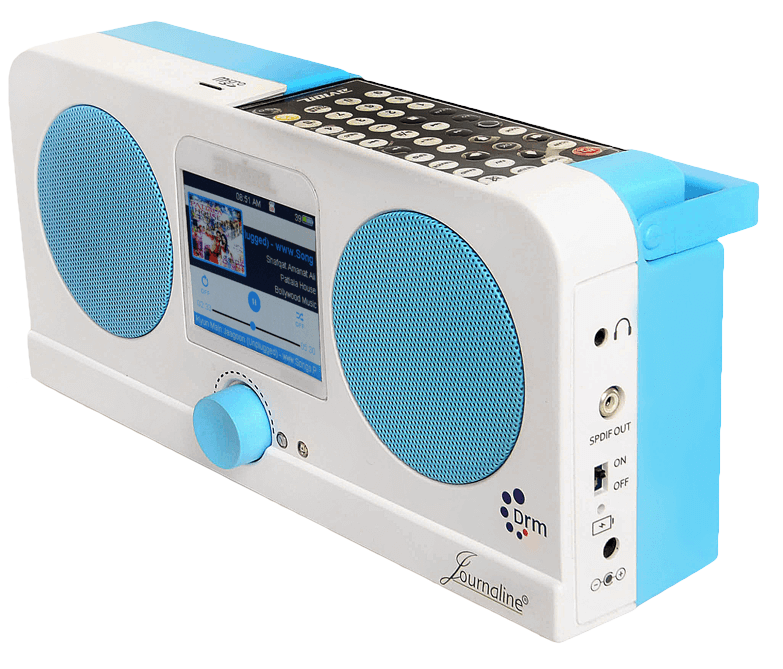 AM/DRM30/DAB converter with FM transmitter. The only difference between the "Truckbox" and "Carbox" seems to be that the former was promoted in association with “TruckRadio”, a DAB station in Germany. The product webpage with description (pdf) is currently (late 2016) still available. 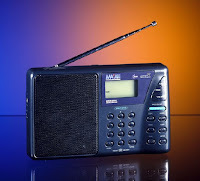 Comments: As early 06/17, the only mention of this radio is in a DRM Consortium submission to the Australian Senate committee handling "The Australian Broadcasting Corporation (Restoring Shortwave Radio) Bill 2017" (link). In part, the submission says "International car manufacturers such as Hyundai, Maruti Suzuki and Mahindra have already incorporated DRM receivers in their vehicles, now for sale in India". 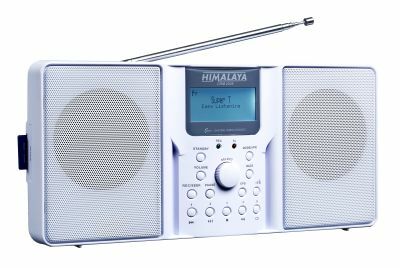 A reliable commentator elsewhere has said their contacts in India haven't heard of this radio, & Suzuki dealers there are also unaware of it. If it exists, it's possibly a version of the Hyundai India / NXP radio (see entry above) made for Suzuki India. Comments: Apparently released in Aug 2008 @ RRP €449.99. 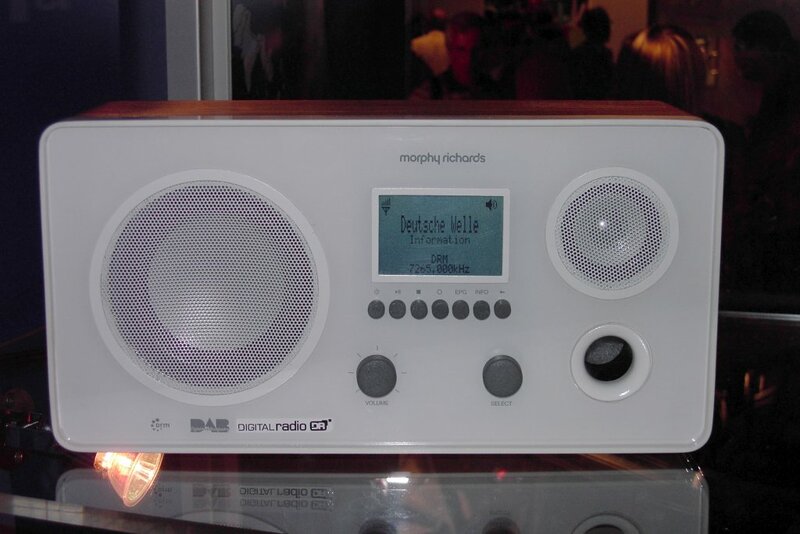 Reports of this radio being sold at runout prices (<€150; RRP €405) in Dec 2012. Likely ceased production in 2008/2009 due to discontinuation of RS500 module in 2008. Comments: Mentioned by Keith Perron in Aug 2013. No further details. Comments: Limited 'pre-production' run of ~300 receivers - no/few more? 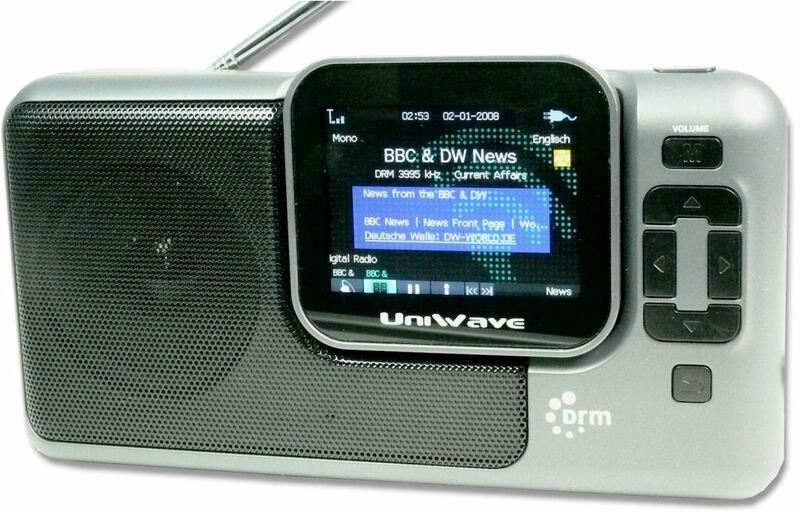 Report from IBC 2011: "The only absentee was the famous receiver Uniwave, a box that has managed to fail before it had sold one hundred pieces.”. Some information available on the 'net e.g. this review, and the product page on Universal Radio. Manufactured by CDNSE? See the entry for the Newstar WR608. Comments: Nothing known of this radio at all, which was noticed in several photos from IBC 2011 on display alongside Himalaya 2009 (which would've been long out of production by then) and Frontier Silicon FS4070. Obviously a prototype, with identifiable markings obscured. General look reminiscent of a late 80's / 90's Alpine. Possibly a Fraunhofer demo? Comments: Demo'd @ IFA 2005. Auto-reporter.net: "At IFA Visteon shows a DRM receiver for car audio systems. 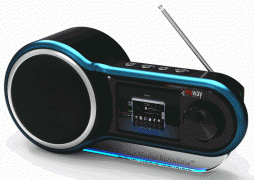 The combined DRM, FM / AM and CD-car radio can receive DRM signals in addition to the conventional FM / AM frequencies." Comments: Indian designed. No further information. Possibly the same Worldspace as the satellite broadcaster? 09/16 - Should probably have started a revision log before this. Had recently added Titus II & Gospell GR-216, but had a backlog of others & updates from previous months. 01/17 - Added unnamed NXP/Hyundai car radio as "NXP - unknown". 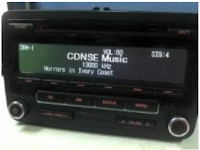 02/17 - Moved unnamed NXP/Hyundai car radio to "Hyundai - [Grand i10] factory-fitted car radio (India)" & updated notes. Updated commentary & notes on general availability at top of page. Updated notes on Avion AV-DR-1401, Gospell GR-216, & PantronX Titus II. Re-wrote intro, cleaned up HTML. Additional updates to GR-216 & Titus II. Minor updates/clarifications to Hyundai & Mahindra entries. 05/17 - Updated commentary, & comments for Avion AV-DR-1401, PantronX Titus II, & Gospell GR-216. 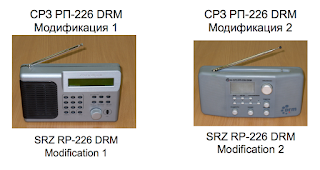 06/17 - Updated info for SRZ RP-227, SRZ RP-229, & SRZ DRM Receiver (was previously "unnamed"). 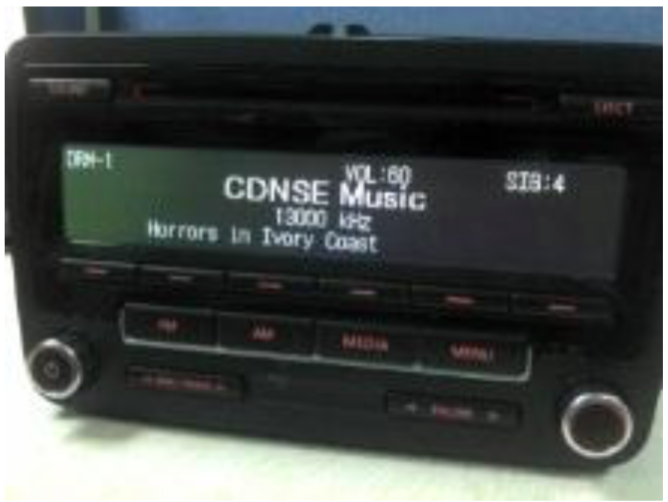 Added Suzuki (India) car radio. Content on the Radio, Television, & Hobbies blog is licensed under a Creative Commons Attribution-NonCommercial-ShareAlike 4.0 International License. Copyright © Radio, Television & Hobbies. ResponsiveT template by Herdiansyah Hamzah / Borneo Templates. Customisation by RTV&H.